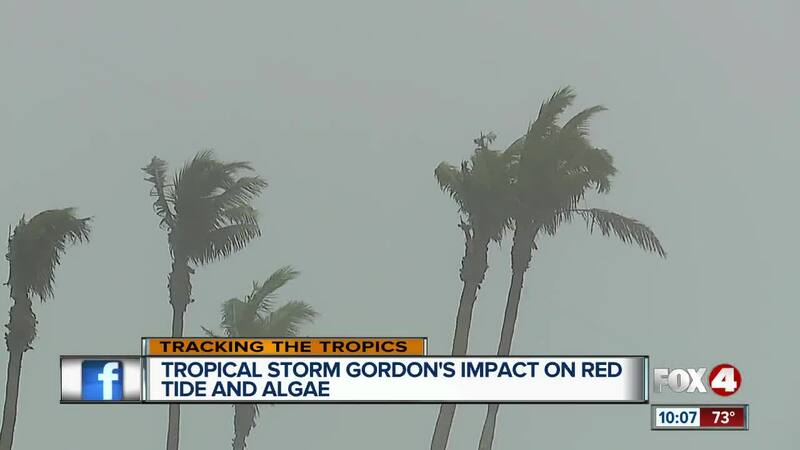 Will Tropical Storm Gordon impact Southwest Florida's red tide, algae? An expert explains how Tropical Storm Gordon could impact the water quality crisis in Southwest Florida. 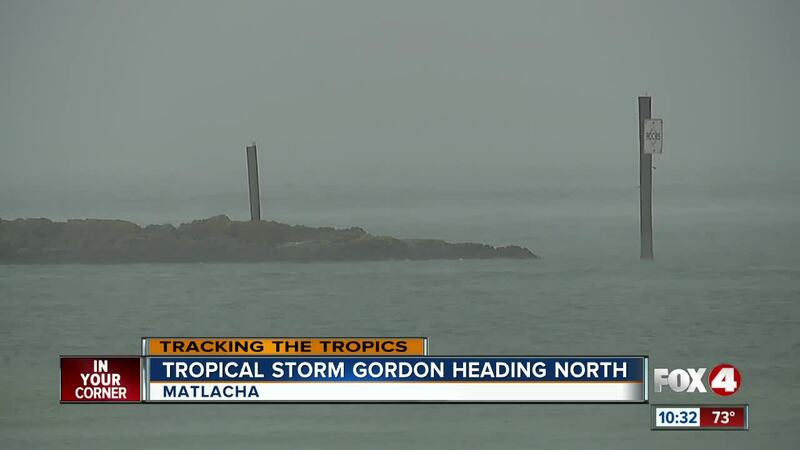 Experts explained how Tropical Storm Gordon may impact the water quality crisis in Southwest Florida. Dr. Greg Tolley of Florida Gulf Coast University's Department of Rain and Ecological Sciences said the answer isn't black and white. "With bigger storms, or a series of storms, there's been some at least preliminary link to keeping the red tides around longer or making them stronger," Dr. Tolley said. With Gordon being a small, quicker moving storm, predicting it's effect on red tide is more difficult. "Any time you have large pulses of rainfall, you worry about extra nutrients coming into coastal waters," Dr. Tolley said. He said red tide feeds off of those nutrients. Dr. Tolley also said the fast offshore winds from Tropical Storm Gordon could push the red tide -- or at least it's stench -- away from the coast. "Move the red tide a little off shore, keep the aerosols off shore for a couple of days so people don't get as sick," he said. "But I doubt it's going to be a long term solution to this red tide," Dr. Tolley said. The waitstaff at Miceli's on Matlacha are hoping Tropical Storm Gordon helps push the red tide away so the restaurant -- and other businesses in Southwest Florida -- can thrive. "They hear waterfront, and they just think that we all have bad water," Jessica Howard, a server at Miceli's, said. "There's less people coming in."